St Denys' Church lies in the centre of the small village of Little Compton at the southern most tip of the County of Warwickshire. 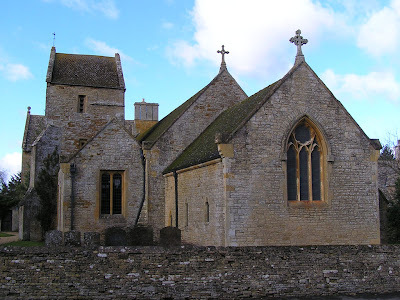 The Village borders on Oxfordshire and is two miles east of the famous Four Shires Stone, the Parish boundary, many years ago, of the four counties of Gloucestershire, Oxfordshire, Warwickshire and Worcestershire. The church is in the Diocese of Oxford and is part of a parish with four neighbouring villages, with a Team Minister Revd. Andrew Keith, and is part of the Chipping Norton Benefice of which Canon Stephen Weston is Team Rector. Various organisations lie at the heart of rural community life. The Church has an important place among them and Church members are actively involved in most other organisations in the community. The Church building is an important historical monument, a central part of our community's heritage, a prominent sign of community around it. Maintaining the fabric of the building does not attract any funding from Government sources, and although we are grateful for grants from the Diocese for the scheme outlined here, the Church of England has no wealth to match the responsibilities of maintaining its historic buildings. We would like to see our church used for more 'non church' activities – concerts, meetings, talks, drama etc. That is why we appeal for help in funding the work essential to restore the fabric of the building. I hope you will respond generously in preserving this important part of our heritage. The recorded history of Little Compton begins in the 11th century, but it is likely that the village had already existed for three or four centuries by this time. Centuries ago the village was known as Compton in Floribus (Compton in the Flowers.) 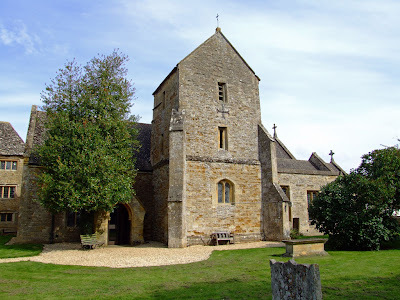 The Church, with the Manor adjacent to it, belonged to the Priory at nearby Deerhurst re-founded in 1056 by King Edward the Confessor, an offshoot of the great Abbey of St Denys in Paris where French Kings are buried. In 1467 Deerhurst priory was suppressed and its property given to Tewkesbury Abbey, which was itself dissolved by King Henry V111 in 1539. The patronage of the living was handed to the newly founded Cathedral of Christ Church in Oxford. The present building has 12th century origins and the saddleback tower built in the 14th Century is of particular interest. However, during 1863/64 extensive re-building took place, forming a new chancel and nave, under the supervision of the then Rector, the Revd. William H Marah. During the Civil War, which ended in 1648, the deposed Bishop of London, William Juxon lived in his family home, the Manor, next to the Church. When, during the Civil War, the King was executed, Bishop Juxon, who had also been Lord Treasurer of England, was the priest who accompanied him to the scaffold. 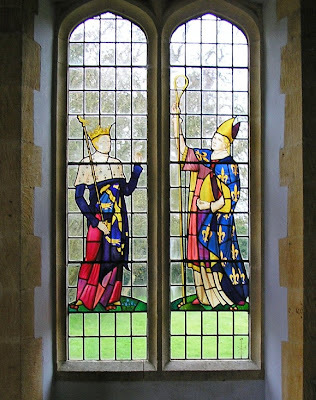 The scenes of the execution are now represented in a beautiful stained glass window in the Lady Chapel of the Church. The Bible used by Bishop Juxon at the execution is on display at nearby Chastleton House, now owned by the National Trust. After the restoration of the Monarchy in 1660, Juxon was appointed Archbishop of Canterbury, by Charles II. He died in 1663 and is buried in St John's College, Oxford. What has been achieved in recent years? During recent years, through the generosity of villagers and appeals to the wider community, the tower has been strengthened and bells re-hung, the Reredos has been restored, the vestry roof and sections of the floor have been renewed, an unstable chimney removed and a new roof water and drainage system has been installed, all as part of the ongoing plan to maintain this most historic building. Our plan is to make this historic building attractive and welcoming to visitors and to the congregation. We have held professional concerts, school concerts and a variety of festivals in the church and we would like to hold more. In other words we aim to make this church more available to a wider interest whilst retaining its character. "Thank you for leaving your church unlocked", "Very peaceful", and from a visiting ringer, "Lovely bells". Why spend money on the Church? It is vitally important that we, as a village community, play our part in maintaining the local heritage as part of the greater history of our nation. Our country church has many interesting and unusual features and stands at the heart of village life and its community. The maintenance of this heritage depends on all of us to maintain, and improve it wherever possible, for the benefit of all. The electric wiring is currently being updated prior to improving the lighting and we wish to re-decorate the interior. Plans for a new glazed screen to replace the existing wooden one between the tower and the nave have been under consideration since the bells were re-hung but postponed due to the on-going floor problems. In addition, we are looking in the longer term to re-pointing the tower, installing a wall between the vestry and the chancel to make the vestry totally secure, an updated heating system, the provision of toilets and a refreshment area. These are ambitious plans, but all necessary if we want to expand the use of this lovely village church. 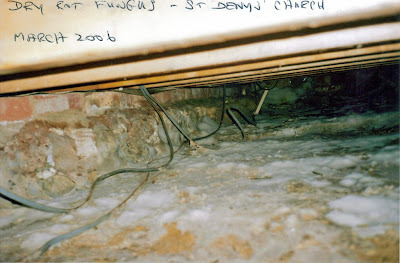 However, they cannot be considered until we eradicate the dry rot problem, which despite large investment in treatment continues to re-infect our floor timbers. We have finally obtained the agreement of the Diocesan Advisory Council to replace the whole of the wooden floors in the Nave by concrete beams with an attractive finished surface. This work will eliminate further dry rot attacks to the floor. Plans for this floor are now being drawn up by our architect and we shall shortly be asking builders for estimates for this work. However, the architect and his quantity surveyor consider the cost will be in the region of £55,000. 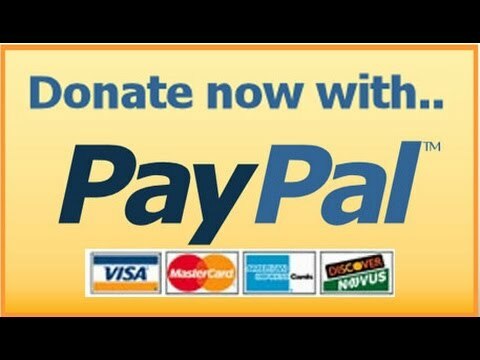 Now we have to raise the money, but how? The church council has been vigorously raising money in recent years, organising Garden Parties, Christmas Fairs, Craft Events and each week during the summer season, providing teas for the nearby National Trust property Chastleton House. Although this has been very worthwhile in financial terms the amount of money required for this new work far out stretches the capability of the active members of our small community of 240 residents. We must therefore look to all who reside in and around the village, visitors and interested Grant Making Trusts to achieve this target.